At the farmers' market I love to ask people how they are preparing things that they buy. Let me tell you...some of the answers are down right awesome and out of the box. On Saturdays one of my favorite couples comes to visit. They are always equipped with fresh ideas of how to cook things. 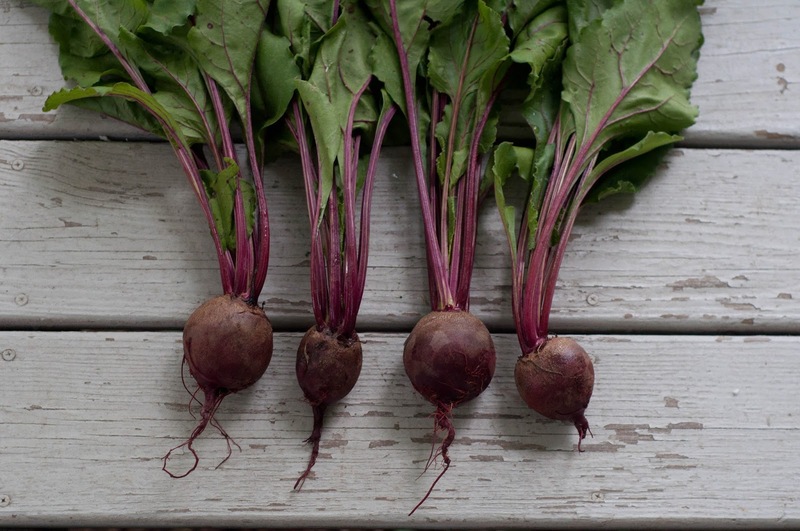 It's often forgotten that beets lend themselves well to sweet pairings. So a big thank you to them for the idea of Beets + Apple Butter. Wash, peel, and slice beets. Place them on the grill and when beets are tender remove. Grab your jar of locally made apple butter (come visit the Farmhouse Kitchen at the Burlington County Farmers' Market) and place a little bit on the beets. 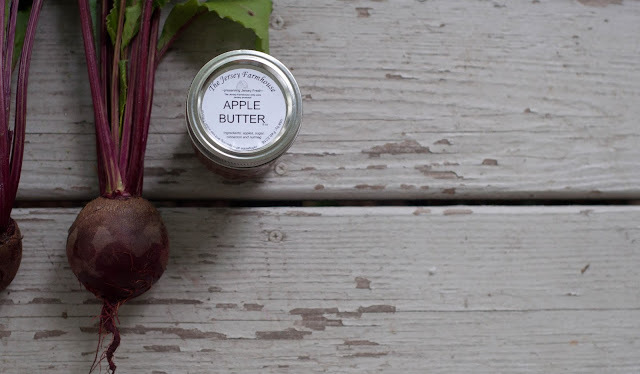 Think of it as ketchup for your beets.